Medical Action Biohazard Waste Disposal Bag is used to collect, store, and transport biohazardous and infectious waste within a health care facility, outpatient surgery center, alternate care clinic, physicians office, and lab. It meets A.S.T.M. dart test requirements, LLDPE (Linear low-density polyethylene) film and flat pack. 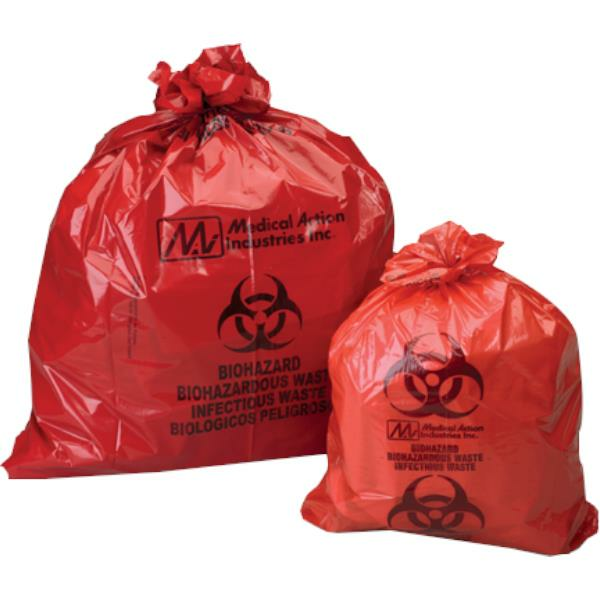 Medical Action Industries Biohazard Bags comes in red bag and black print.